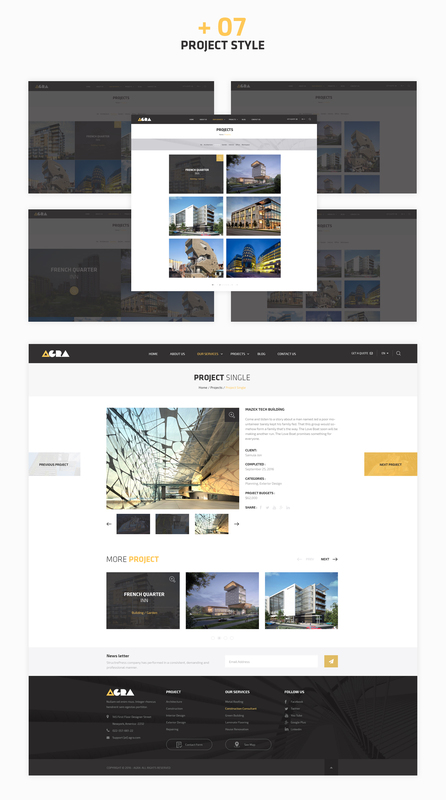 Agra is created with a deep research & knowledge on the building & construction business, home services and designed with a modern & clean design. 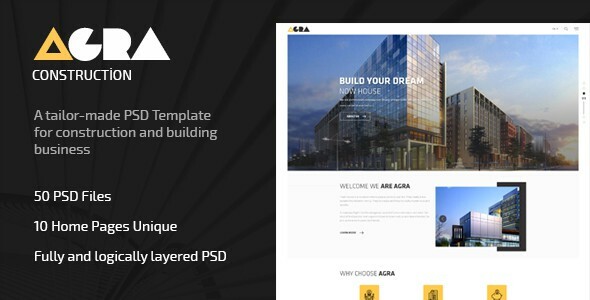 It includes 50 psd files and 10 homepage variations with useful pages that can help to push all possible construction businesses such as renovation, construction, roofing, window, door, road, cleaning, plumbing. You can easily customize all to suit your business with carefully & well organized psd files.